Traveloscopy Travelblog: Struth! Is this the world's most photographed hotel? Struth! Is this the world's most photographed hotel? Struth! Is this the world's most photographed hotel? IN his continuing search for the more weird and wondrous in the world of travel, David Ellis says that while the world's officially most-photographed hotel was built way back in 1893, it was actually a castle built several hundred years before that which inspired its almost fairy-tale-like appearance. 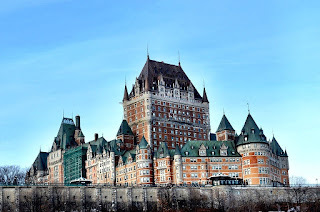 American architect Bruce Price designed the hotel, Le Chateau Frontenac in Quebec City, for the Canadian Pacific Railway company at a time when rail travel was booming across Canada and America. 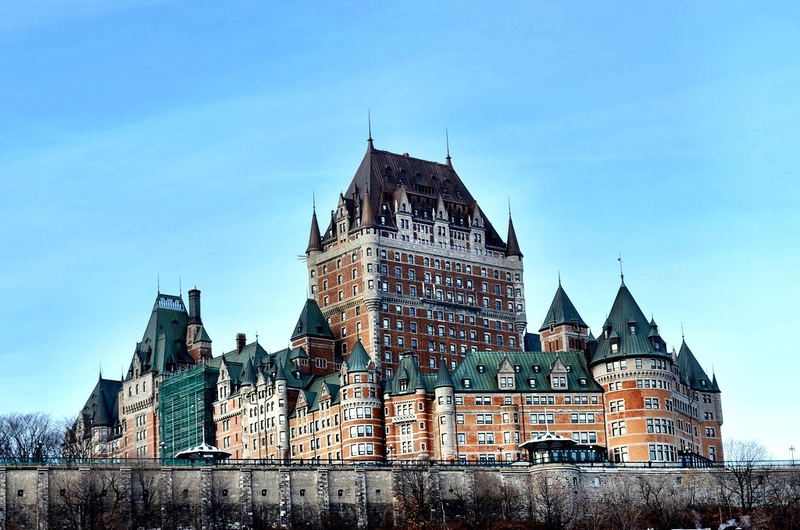 But while it was like many other "chateau" style hotels he'd designed for the rail company, this one was absolutely enormous compared to the others, and having 618 rooms on a clifftop site it quickly came to dominate Quebec City's skyline – as it still does today. Although it was built in 1893, there had been earlier castles and hotels on the site over several centuries, with the last hotel burning down in 1834. Today with its cliff-top location and its fairy-tale appearance, Le Chateau Frontenac is listed by the Guinness Book of Records as the world's officially most-photographed hotel – with many guests saying it's a true-life castle of their dreams. And yes, it does take its name from the real thing, Frontenac Castle in France that was built during the Renaissance.